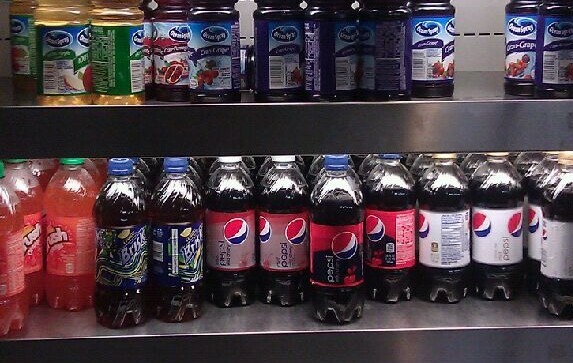 The NYC Board of Health voted eight-to-one in favor of Mayor Bloomberg’s proposed ban on the sale of sugary beverages over 16 oz. Sept. 13. The ban will require restaurants, movie theaters, food carts, sports arenas and workplace cafeterias (such as Café UFT) to stop selling drinks like sweetened teas, sodas and sports drinks in cups larger than 16 oz, effective March 2013. The ban will apply to both fountain and bottled drinks, but it will not affect free refill policies or the sale of diet sodas. Drinks containing more than 50 percent milk (such as the Starbucks Frappuccino) will also be exempt. King's students are not happy. “Who does think it’s a good idea? Like three people in the entire city,” John Sailer, also a student at King’s, said. Sailer’s statement reflects the views of many New Yorkers who see the ban as poorly thought-out and ineffective. A group called New Yorkers for Beverage Choices has made it a goal to abolish this piece of legislation, having gathered over 333,000 supporters. “It is the arbitrary nature of this ban that makes most New Yorkers uncomfortable with this not well thought out policy,” Council Member Robert Jackson said in a press release the day the ban was approved. Jackson was referring to the wide range of loopholes that will hinder any true change. “This won’t affect me—I don’t drink carbonated beverages,” King’s student Brianna Allen said. Allen drinks a 15 oz. bottle of Ocean Spray orange juice every day. Since juice is not included under the new ban, Allen would still be safe if her drink exceeded the 16 oz. limit, even though it contains 20 grams of sugar per 8 oz. serving. In recent poll, 70 King’s students responded to the question, “How much soda do you typically consume in one week?” Results ranged from 44.4 percent who said they “do not drink soda” to 14.3 percent who said they drink six cups or more per week. “People are ultimately going to find ways to get what they want,” Shwartz said. “When I think about why some New Yorkers are struggling with obesity, I do not think of 20 oz. sodas. I think of my constituency’s lack of parks and green space for them to safely exercise,” Council Member Diana Reyna, said, alluding to potentially larger problems concerning the nationwide obesity epidemic. Renya is working along with Council Member Jackson and New Yorkers for Beverage Choices to raise opposition to the Board of Health’s motion. Businesses near the college will have to modify their methods of selling soda. “This has opened up a door for research for my company,” UFT Café Director of Food Services Kevin Daloia said. His company is a private franchise that offers a variety of bottled Pepsi and Snapple products over 20 oz., as well as 20 oz. fountain drinks. The café will have to make appropriate changes before March 2013, when the ban officially goes into effect.